ROCKWALL enters the “TOP 20” of the German Metal Rock Charts! We all are very happy about ROCKWALL entering the “TOP 20” of the German Metal Rock Charts – in week no. 7 the latest PILEDRIVER-album climbs up to Chart-position no. 19! A heartfelt “THANK YOU” to all our friends who support us and helped making this happen!!!! 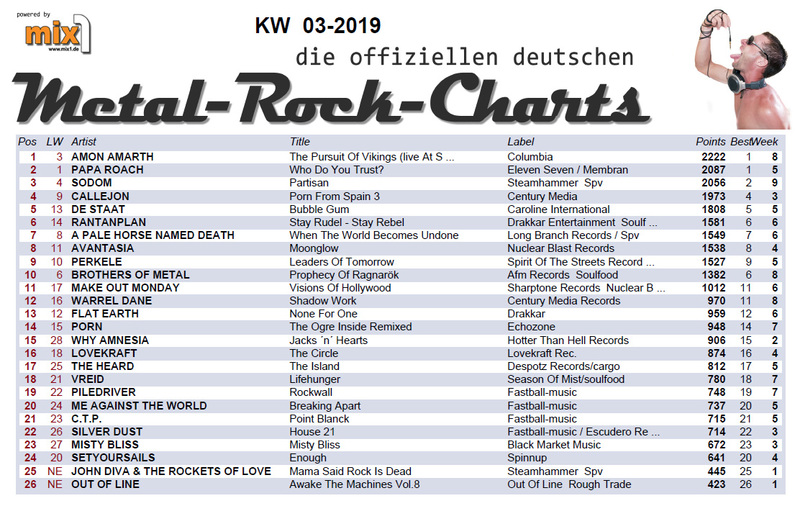 ‹ ROCKWALL RISES in the German Metal Rock Charts!